Sophomore guard No. 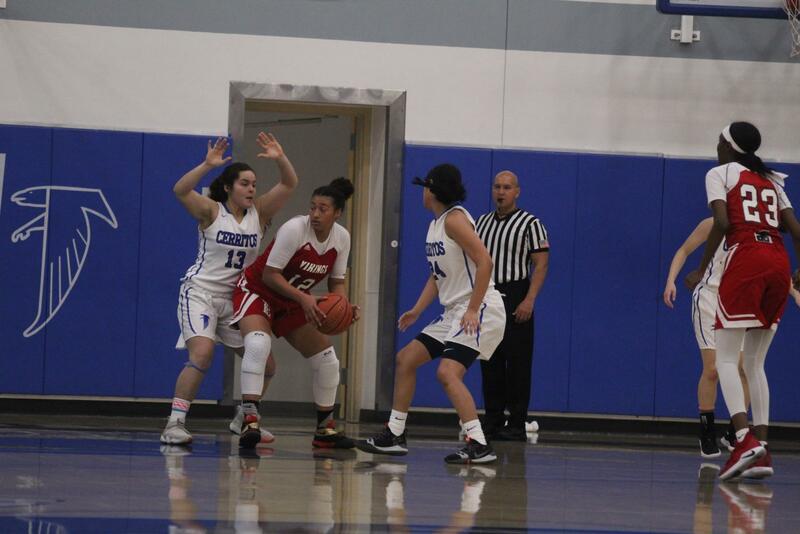 24 Serena Rendon fighting through the contact to get to the basket. 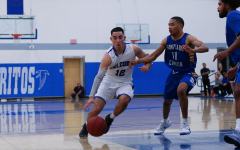 Rendon finished the game with 17 points and seven rebounds in the game at Cerritos College against Long Beach City College on Feb. 8, 2019. 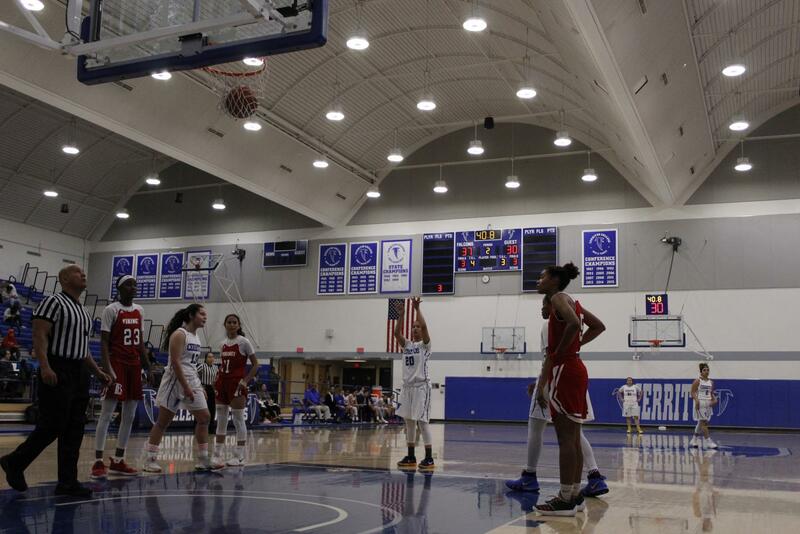 The Cerritos College women’s basketball team secured its fourth straight double digit margin win, defeating the Long Beach City College Vikings 74-55 at home on Feb. 8. With constant pressure throughout all four quarters of play, the Falcons managed to end the game with a 19 point lead over the Vikings extending their win streak to four, they are now 5-1 in conference and 16-10 overall. Sophomore guard No. 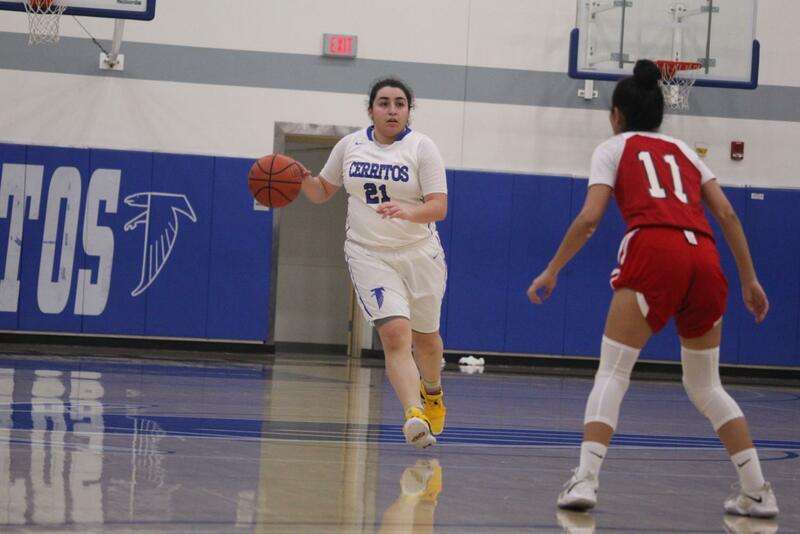 21 Lynette Garcia initiates the play for the Falcons against Long Beacg City College on Feb. 8, 2019 at Cerritos College. The Vikings were playing with only five players and had no room for rotations, still managing to get 55 points it wasn’t enough to overcome the Falcons. 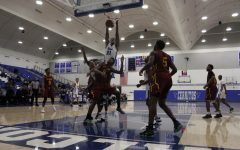 Following this win the Falcons now have a chance to tie for first place in the South Coast Conference South Division when they face El Camino College on Feb. 13. “Whenever you have a team that can do that, you have to just applaud the players, their commitment… they deserve the right to go and play for a conference title because they put the work in,” Kozlowski said. Freshman forward No. 13 Sarah Hernandez attempts to prevent Long Beach City College from scoring, she had nine rebounds and three steals in the game. 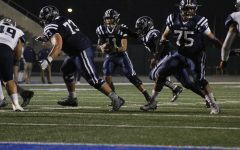 Cerritos College ended the first half with 39 points against the Vikings, followed by a 35 point performance in the second half boosting them to win the game. Sophomore guard No. 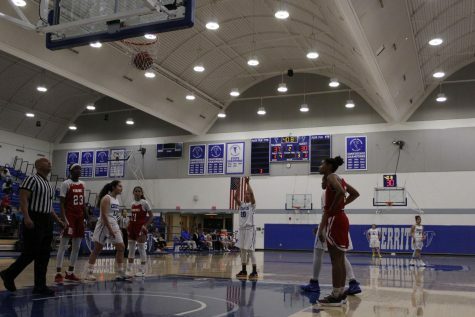 20 Jesenia Rendon knocks down two free throws to the Falcons up by eight points against Long Beach City College at Cerritos College on Feb. 8, 2019. Sophomore guard No. 20 Jesenia Rendon led the team with 27 points, five steals, four rebounds and two assists. The Falcons forced 24 turnovers and managed to score 22 points off of turnovers, the team also had 29 second chance points. Sophomore guard No. 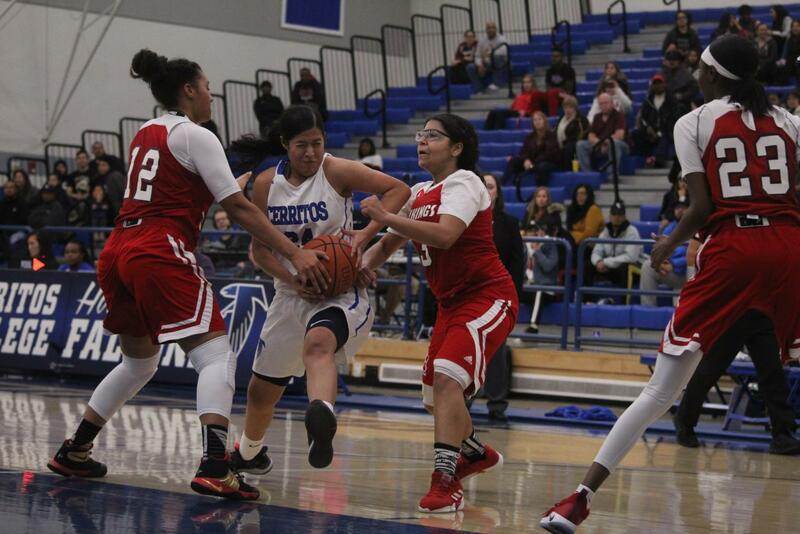 24 Serena Rendon had 17 points and seven rebounds, while sophomore guard No. 21 Lynette Garcia had 14 points, six steals, three rebounds and two assists. Garcia tries to stay focused on the game plan that was set in practice the day before when it comes to playing big rival games. The Falcons previous three games: Cerritos 87-39 Compton; Cerritos 100-41 Los Angeles Southwest; Cerritos 77-42 Los Angeles Harbor. 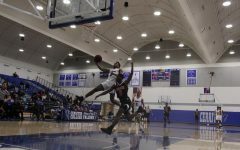 The Falcons now only have four conference matches left in the 2018-2019 season, the team will travel to El Camino College Feb. 13 with a winning streak momentum, Cerritos College previously lost against El Camino College 72-61 on Jan. 25.